Download "Commissioned by Microsoft Corp."
1 STEM Perceptions: Student & Parent Study Parents and Students Weigh in on How to Inspire the Next Generation of Doctors, Scientists, Software Developers and Engineers Commissioned by Microsoft Corp.
11 Students are choosing to pursue a STEM degree, not because someone encouraged or told them to or even because the U.S. is in need, but to secure their own futures and because they find it intellectually stimulating/challenging. Reasons College Students Choose STEM Degrees Good salary out of school It's intellectually stimulating/challenging The job potential 68% 68% 66% #1 reason for males and pre-med students #1 reason for females and engineering & science students It's my passion 54% I have always enjoyed games/toys, books, participating in clubs focused on this subject I received good grades in this subject in school To make a difference 43% 39% 45% #1 reason for technology students (Note: Does not make top 3 list for any other major) Male students are more likely to pursue STEM because they have always enjoyed games/toys, etc. (51% vs. 35% females). Our country is in need of college graduates focused in these areas A family member has similar education/career I was encouraged by a teacher or guidance counselor 19% 17% 25% Female students are more likely than male students to say that they chose STEM to make a difference (49% vs. 34% males). Of all STEM students, pre-med are most likely to give this is a reason (67% vs. 50% in science, 35% in engineering and 12% in technology). 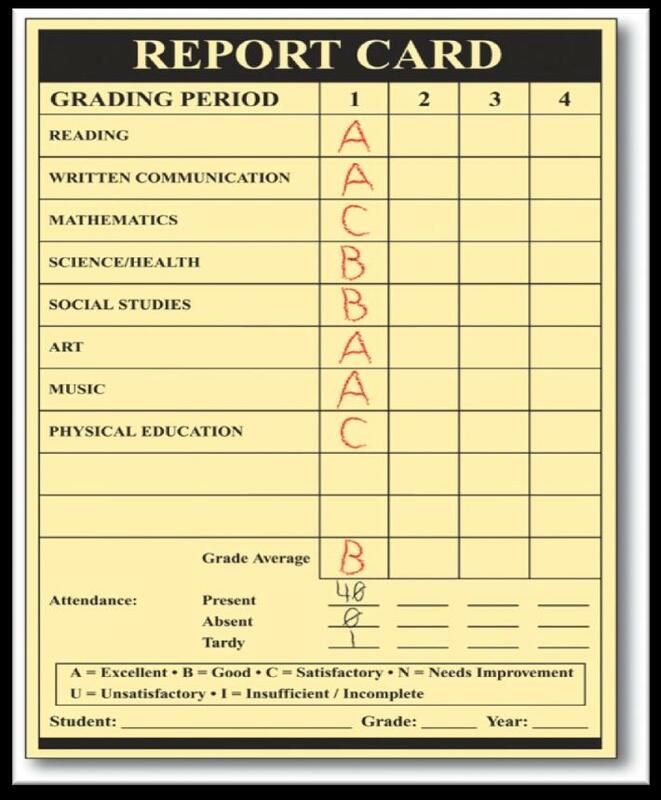 My parents told me I had to 6% Base: All College Students (n=500) Q810: Why did you choose to pursue this type of education? Other 3% Black and Hispanic students are less likely than white and Asian students to say they chose STEM because they were encouraged by a teacher or guidance counselor. 13 About a third of college students say that no one had the most influence on their decision to pursue STEM the same is true of parents who are in STEM fields today. However, over half of students say that a teacher or class got them interested in STEM. Half also said that media, games and toys played a role. WHO Had the MOST Influence on Your Decision to Pursue STEM? Reported by students and parents in STEM careers Parent Teacher or guidance counselor Friend Sibling Famous person Mentor Grandparent Other relative No one 7% 2% 4% 4% 3% 2% 3% 2% 3% 4% 2% 2% 14% 11% 27% 32% 37% of STEM college students have a parent in STEM. STEM College Students Parents of K-12 Students in STEM Careers 34% 35% A teacher or class TV, movies or books Games or toys A parent or relative Visiting museums Clubs or activities Work/internship A mentor A famous person in the field Science fairs/contests Other Base: Parents in STEM Careers (n=132) Q1005: When you were a child, who was the most influential person in your life in helping you decide what career to pursue? Base: All College Students (n=500) Q820: Who had the most influence on your decision to study in this area? ; Q840: Before going to college, which of the following got you interested in science, technology, engineering and/or mathematics? ; Q845: Please tell us specifically what got you interested in science, technology, engineering and/or mathematics. STEM Students: Before College, WHAT Got You Interested in STEM? 11% 5% 4% 6% 2% 4% 11% 23% 16% 14% 29% 28% 40% 25% 27% 34% 39% 51% 55% 46% 61% 68% Males Females #1 for females #1 for males I took 2 classes in high school where the teachers were really good at making it interesting and I realized how much I like this. Math Student Video games got me into this area. Tech Student = significant difference between males and females. 17 Expose them at an early age, show them it is fun and interesting. Biomedical Sciences Student STEM Students: What Can Parents and Schools Do to Help Kids and Teens Become Interested in STEM? Fun games see how science, technology, engineering, and mathematics are actually applicable to real life. Engineering Student Parents can be more hands on and supportive in teaching their children outside of school to help reinforce what is learned in school. Schools should also have a lot more hands on and visual learning rather than always reading from the textbook. For example, instead of reading about photosynthesis take the students outside and show them photosynthesis. Pre-Med Student Base: All College Students (n=500) Q950: What can parents and schools do to help kids and teens become interested in science, technology, engineering and mathematics? 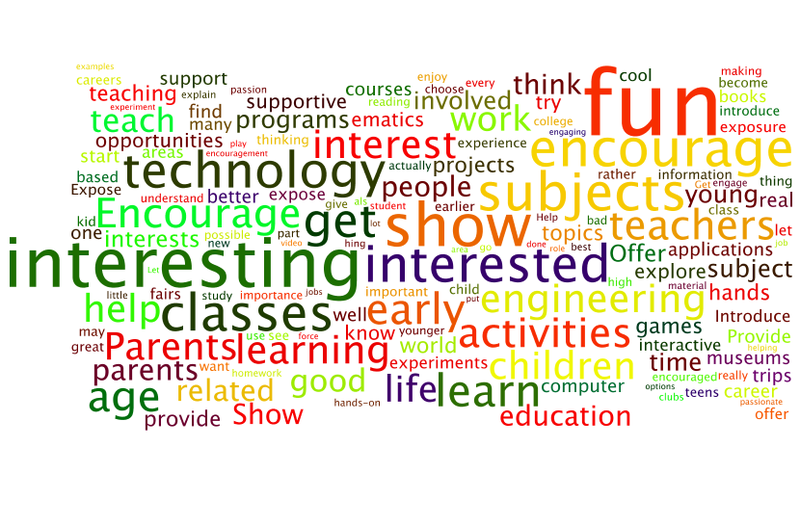 The word cloud illustrates keywords used by students to indicate how parents and schools can make STEM more interesting for kids. Larger words represent higher frequencies while smaller words represent lower frequencies. Taking the Pulse. of the High School Student Experience in America. Research Findings Access to Technology Phase 1 of 6. A GUIDE FOR FAMILIES STARTS NOW COMMISSION ON INDEPENDENT COLLEGES AND UNIVERSITIES www.nycolleges.org Make the Dream Real. We all want the best for our children, and that often includes a college degree. This free sample provided by CIMC www. 800.654.4502 Career Focus: STEM Careers The latest addition to our Career Focus series, Career Focus: STEM Careers is a career exploration and preparation guide.